15ct antique diamond set bangle. Product code: 1458 Categories: Sold Items, Sold Jewellery. Antique bangles come in such an array of designs and styles, and here is one that would match perfectly when worn with other antique jewellery, or with very modern style jewellery, due to its wonderful design. 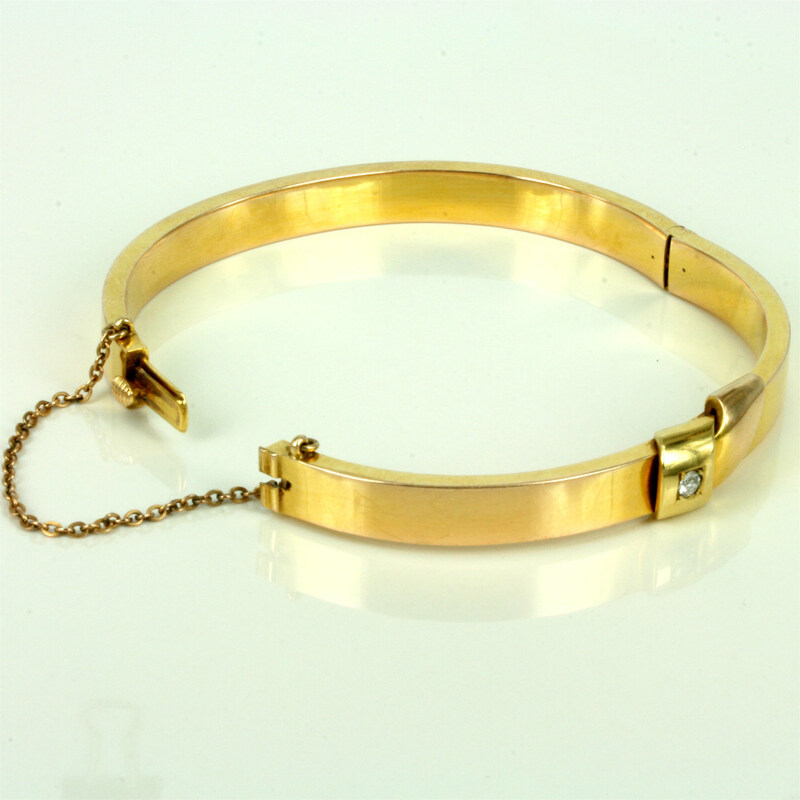 Made in the Victorian era, this antique bangle dates from the 1890’s, and is made in 15ct yellow gold. Being a hinged design makes it sit so nice and close to the wrist and is wearable for every day. Set with a 0.08 carat diamond that sits so elegantly, the design of this bangle is just perfect. If you have been after an antique diamond bangle that you can wear all the time, and is so elegant, then this one might just be the one.